Can you believe that summer is already right around the corner? Before you know it, you’ll be breaking out the grill (if you haven’t already, that is), transitioning from jeans to shorts, and spending lazy afternoons lounging in the shade. 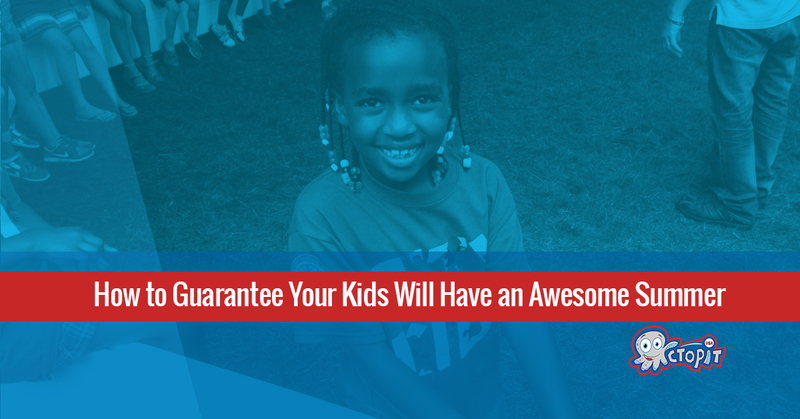 Your kids, on the other hand, will probably want something fun to do. That’s where gaga ball comes into play! If you’ve been looking for the perfect piece of outdoor play equipment for your kids, look no further than a gaga ball pit for sale from Octopit. Having risen quickly to popularity, a good way to ensure that your kids will stay busy and have fun (and tucker themselves out which is always a win for parents) is by grabbing a gaga ball pit to set up in your backyard! From the convenience of being able to set it up, tear it down, and stow it away to the fact that it’s made of high quality, durable materials that will stand the test of time, a gaga ball pit is the perfect investment. Great question. Although your kids probably know all about gaga ball from playing at school or at a friend’s house, you may not have any earthly idea what gaga ball is. Did Lady Gaga invent this game? No, she didn’t. But it can get pretty wild! Anyway, luckily for you, we’ve put together a quick run down of this unique game (see our page What is Gaga Ball?) so you can get the answers you’re looking for. Once you’ve read up and realized that it’s the perfect way to fill up your children’s summer, come on back for our list of things you can do while the kids are playing in the backyard! Sure, you could buy your kids the new Nintendo system, but a gaga ball pit is an incredible investment that allows the kiddos to spend some quality time outside. What’s summer for, if not enjoying the sun and the ability to run around and get a little sweaty? As a parent, you probably have to put reading on the back burner more often than not. Well luckily for you, now is the perfect time to break out that Stephen King novel you’ve been working on and actually finish it (and as an added bonus, being able to read in the daytime means you don’t have to turn every light in the house on because you’re too spooked). When you find a comfy lawn chair, you can simply enjoy watching the kids play while relaxing on your lawn furniture with a nice, cold glass of sweet tea. It doesn’t get much better than that! Plus you can nap and keep an eye on the kids at the same time. All of the birds come out in the summer, so why not grab your binoculars and see how many different species you can identify. Bonus points if you take detailed notes each day and keep track of your findings! Not sure which gaga ball pit is right for you? We’re here to help. Simply contact us online to get a free quote and we’ll work with you to figure out which option best suits your unique scenario. Whether you’ve done plenty of research on gaga ball and know exactly what kind of setup you’re looking for or you have no idea what will work best for your backyard and this blog is your first experience hearing about gaga ball, we’re here to help. So grab a book, make yourself a delicious sweet tea, and break out the binoculars, because you’re about to have a summer that’s as good as the summer your kids are enjoying with their new gaga ball pit! We look forward to hearing from you.